Why is this project necessary? The sub-base of Springfield Pike has failed in many locations. Click here to see core samples. It is important the City undertake full depth repair in the areas needed, and mill and overlay in those areas where the sub-base is intact. This project also replaces existing curbs and gutters, which are in poor condition, and upgrades signals along the entire length of roadway. Why is the “Road Diet” the preferred design? The Road Diet configuration was chosen for several reasons, including safety and cost. It will improve safety of the corridor by reducing the number of conflict points for vehicles turning left as well as cross street traffic. Road Diet designs are proven to reduce vehicle crashes by up to 47%. This configuration also fits within the existing curb lines, without removing trees or parking, and does not require additional right of way acquisition from adjacent property owners. The City’s Traffic Engineer modeled the three-lane configuration with coordinated traffic signals and determined the level of service to be as good or better than the current configuration. Isn’t the “upper limit” on average daily traffic counts (ADTs) for Road Diet designs 20,000 cars per day? If our current ADT is 19,000, isn’t this precariously close to the “cut off,” particularly if ADTs increase over the next 20 years? The cited “upper limit” for ADTs was based on one study conducted by the Federal Highway Administration. There are many other studies that cite higher ADTs for these designs, typically a maximum of 25,000. Based upon a 1.5% per year growth factor, the ADT on Springfield Pike in 2035 would be 24,700. Do we have to put in bike lanes? Without the designated bike lanes, the north and south bound lanes are wider. The addition of bike lanes did not receive additional funding scoring for grant award purposes. While ODOT/OKI will have to approve all project scope changes, the City at this time will plant to retain the “sharrows” along the roadway (that indicate where cars and bikes share the road). How will I ever get out of my driveway or onto Springfield Pike during rush hour? The coordinated traffic signals will create gaps in traffic, giving more time for vehicles to exit driveways. This will also be safer with fewer lanes of traffic to judge, especially when making a left turn out of a driveway. The Wyoming traffic modeling shows ingress delay times of 1 to 1.5 minutes during the P.M. traffic peak. Won’t this delay Police and Fire/EMS response? 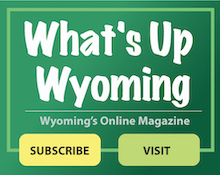 The Wyoming Fire and Police departments are strongly supportive of the plan. In all instances, the ability of emergency responders to cross or travel Springfield Pike are improved with the new configuration. Further, the Police Department intends to move traffic stops and non-injury accidents to side streets whenever possible. With the proven reduction of accidents in Road Diet zones, there will be a decreased amount of time fire apparatus blocks the main traffic artery. Also, for Fire and EMS personnel, this reduces the risk of injury by cars approaching an accident scene. The controlled flow of traffic will make fire responses easier to negotiate whenever Springfield Pike is used on an emergency run. Would the grant allow keeping four lanes and marking the two inner lanes as turn lanes? This would not meet the terms of the grant as it would not have the same impact on safety as the three-lane configuration. Drivers would still be crossing/turning across four lanes of traffic. This design would also likely result in drivers using the turn lanes as a thru lane until the next intersection, which would result in similar rear end crashes at side streets and driveways. Further, the left turn lanes would not line up, which would create less safe turning conditions. The cars in the far lane, in this case the thru lane, would be blocked from the sight of the opposing left turning vehicle. Traffic is bad during rush hour now, won’t this just make it worse? The existing signal equipment limits the ability to coordinate the signals, causing a lot of stops along Springfield Pike. With the volume of traffic on the road, the stops add to the delays and queues, causing congestion. With optimized, coordinated timing, the traffic will flow much better, even with the lane reduction. The modeling for the proposed design shows a 10% decrease in travel time during the A.M. and P.M. peaks due to the improved signal operation. The modeling shows an even greater improvement during the midday and school peaks of a 16% and 14% decrease in travel time, respectively. Why can’t we have a four-lane road with a dedicated center turn lane instead? This design alternative was considered. However, it would need a much wider roadway requiring extensive right of way acquisition, resulting in the loss of significant front yard area of adjacent property owners. Further, a four-lane, center turn lane design would very likely not have received grant funding because it would not improve safety. Finally, this configuration would very likely increase traffic counts and would require significantly more funding. How does the funding for this project work? The total project cost is estimated to be $8,020,000, including $605,000 in engineering costs. To date, the City has secured $6,033,000 in grant funding (75% of the cost). Another grant will be applied for in 2017, and if awarded, the total grant funding for the project will be $6,763,000 (84% of the cost). Why don’t we pay for it locally so we do not have to follow federal guidelines and design recommendations? In order to fund the entire project locally, the City would have to seek a voted levy to finance the project. The property tax millage needed to fund this project, plus added costs for financing, would be two mills over a 20-year period. This would generate approximately $550,000 to $600,000 of revenue annually to pay the debt. If this method of financing is selected, the total project cost would be between $11,000,000 and $12,000,000. To a homeowner, this would mean $200.00 of additional property tax, per year per $100,000 of assessed value, for 20 years. No. We are developing this project through the National Environmental Policy Act and the Ohio Department of Transportation’s project development process. Public input is a vital part of this process and will continue to help shape the outcome. While project funds were obtained from the Ohio-Kentucky-Indiana Regional Council of Governments (OKI) with the intention of further developing and investigating the benefits of a road diet for Wyoming, we will continue to work with the community to seek input and, together, determine the best solution for the traveling public and our residents. What happens if the project is completed and is not working as the modeling predicts? Success of the project will be reviewed thoroughly in the first year following installation. Traffic delays/congestion, frequency of accidents, level of service, monitoring of alternative routes (i.e. increased traffic on Burns Avenue), and community perception and feedback will all be evaluated. Significant evidence of modeling failure could result in restriping the roadway back to the current configuration. What are examples of comparable projects in the area? Madison Road in Hyde Park and East Walnut Hills, Montana Avenue in Westwood, Riverside Drive in East End, Bank Street in West End, and Delta Avenue from Columbia Parkway to Erie Avenue (excluding Mt. Lookout Square).